2.5x1.5mm Glass Crystal Mini Rondelles - We Have Them! 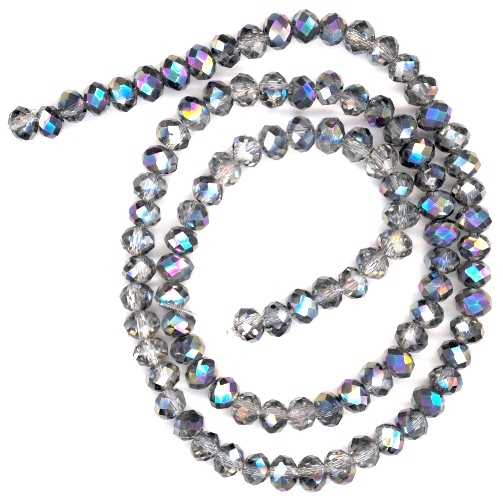 We are very happy to bring you the smallest glass crystal rondelle beads available in the beading world! These faceted glass crystal mini rondelles are approximately 2.5mm tall and 1.5mm wide. Kim was working on a jewelry pattern featured in Beadwork and advised me there was a little crystal rondelle bead mentioned in one of the articles and we did not have it. She told me there was a beautiful bracelet called Paragon Cuff by Michelle Heim which referenced 2.5x1.5mm crystal rondelles. I did some searching online and could not locate these crystals anywhere. I contacted several of the distributors we work with and none of them had them. I finally got lucky and was able to get one of the factories we work with to make them for us. The 2.5x1.5mm glass crystal mini rondelles just came in and they look beautiful. We have 15 colors right now and we hope you love them. The 2.5x1.5mm glass crystal rondelles may also be seen in some patterns as 1.5x2mm but the actual size is closer to 1.5x2.5mm. 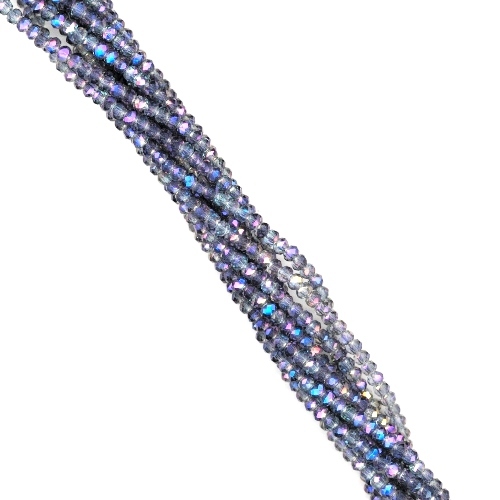 They come on strands that are approximately 16 inches long with approximately 200 mini rondelles per strand. More Colors of 6x4mm Glass Crystal Rondelle Beads! We are happy to have even more colors of high quality multi-faceted 6x4mm glass crystal rondelle beads available. These small glass crystal beads are very affordable and look beautiful. 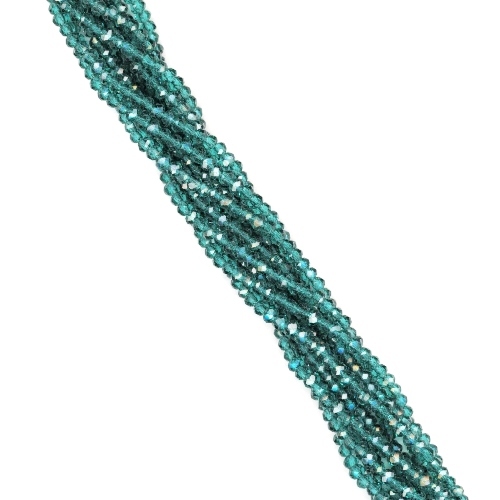 The new colors of 6x4mm Glass Crystal Rondelle Beads are Stellar AB and Montana Blue Sparkle AB. 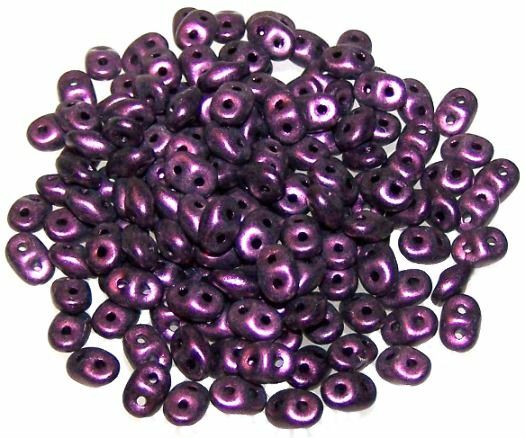 They are available in sample packs of 1 dozen beads or by the strand. 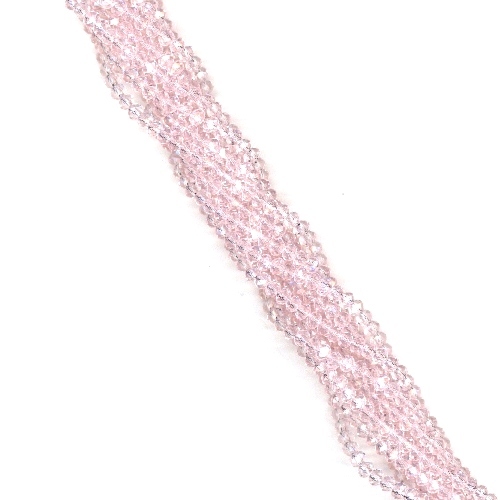 Strands are approximately 16" long with approximately 100 beads! New Colors of Czech Glass Brick Beads are now available! We are happy to have even more colors of beautiful Czech Glass Brick Beads now available. We are now offering several Halo Bricks and Matte Finish Bricks. CzechMates Brand Czech Glass Beads will make a great addition to your next beading project. These brick beads have 2 holes going through them and will be great for many seed bead projects. Czech Glass Brick Beads are a 3mm by 6mm rectangle that is approximately 3mm thick. They are sold in packs of 25 beads. More Superduo Beads - Now Over 125 Colors! We just added even more colors of Czech Glass Superduo Beads. Some of these new colors are the Metallic Suede Superduo Beads and the Milky Luster Superduo Beads. We also added more Halo Superduo Beads and Picasso Superduo Beads. The colors on these Czech Glass Superduo Beads are just amazing. We had a very hard time choosing our favorites! 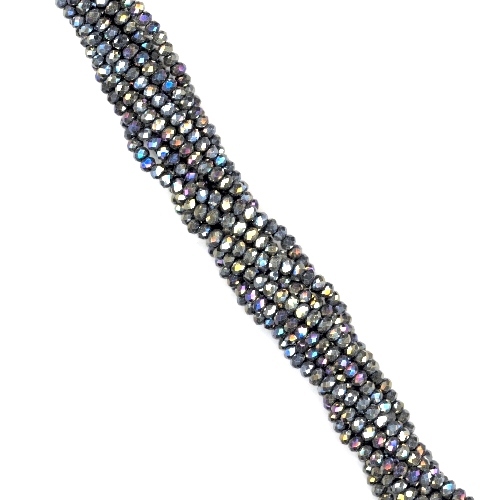 New Matubo Size 8 Seed Beads Just Added! 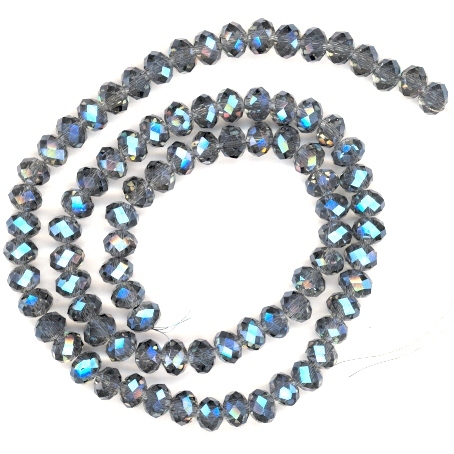 We just added a large selection of Czech Glass Matubo Size 8 Seed Beads. These seed beads are made from Czech Glass and the colors are so rich and beautiful! Matubo Size 8 Seed Beads are larger than size 11 seed beads but smaller than size 6 seed beads. Matubo Size 8 Seed Beads are sold in 7.5 gram packs that contain approximately 255 beads.